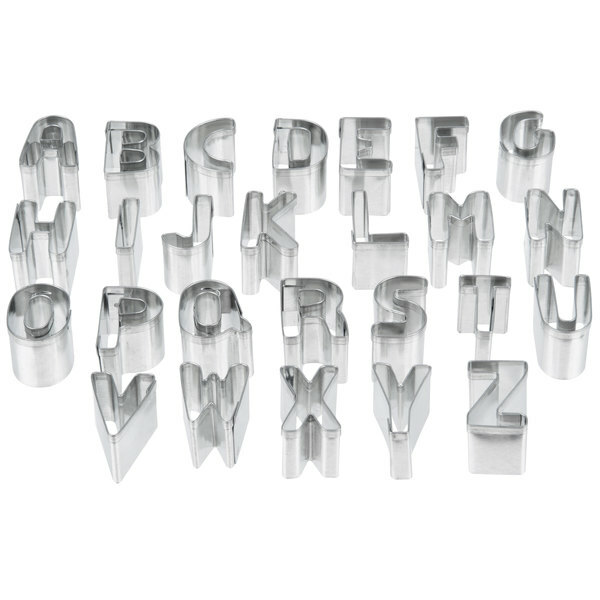 Cut fondant letters to write "Happy Birthday" and other celebratory messages for your bakery's cakes with this Ateco 6949 1" tin alphabet cutter set. 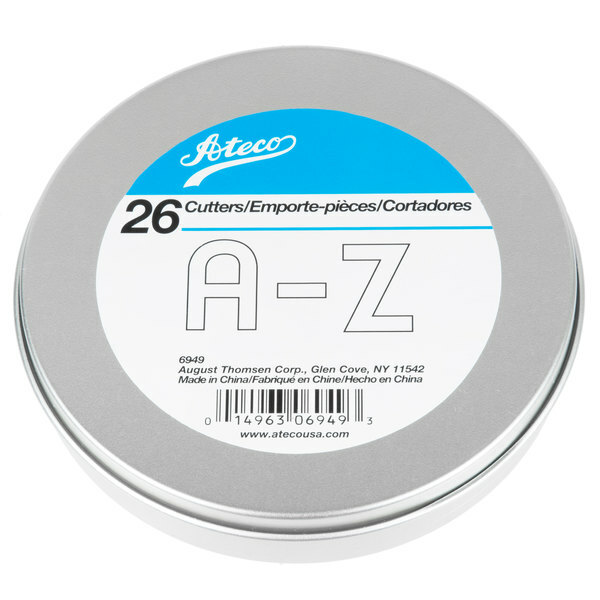 Made of tin, these durable cutters are built last and ensure the vowels will remain sturdy as long as the "Q", "Z," and other less common letters. 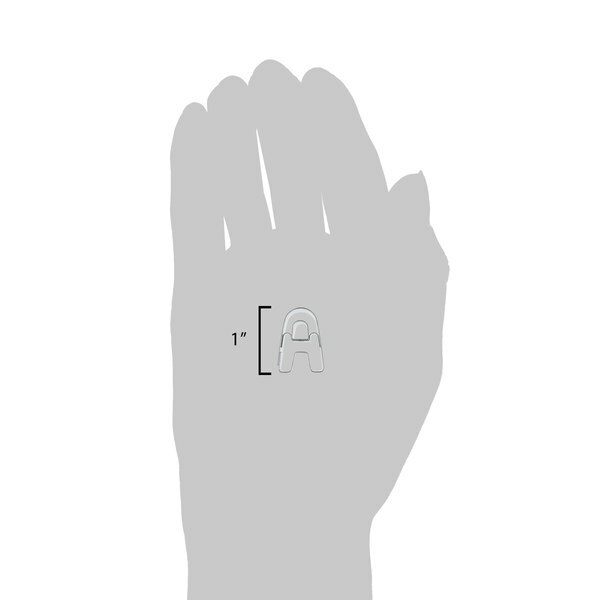 This set includes each letter of the alphabet, all in uppercase letters for uniformity. For birthdays, anniversary dates, and more, pair this set with Ateco 7802 1 1/2" numbers cutter set (sold separately) for compatible letter and number sizes. 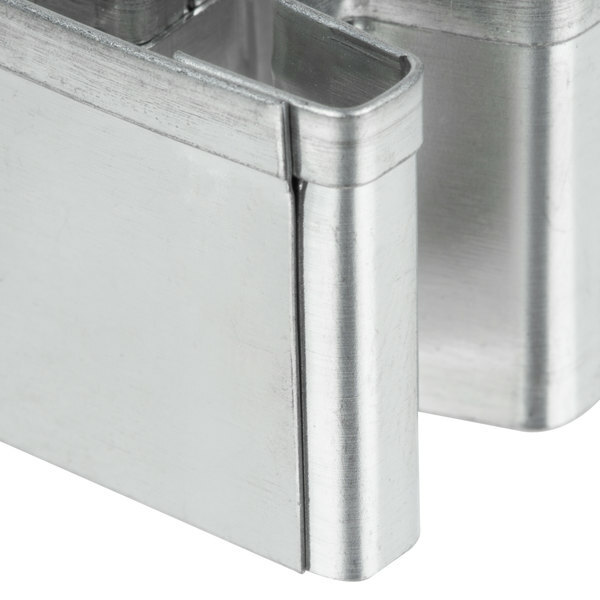 Each cutter measures 1" wide at the broadest point, ensuring the letters are visible from a distance without dominating your baked good or restricting your message length. Thanks to each cutter's round top ledge, users can safely and comfortably press down on the cutters through thick layers of dough. Plus, the included storage container helps you keep all of your letters together and organized. 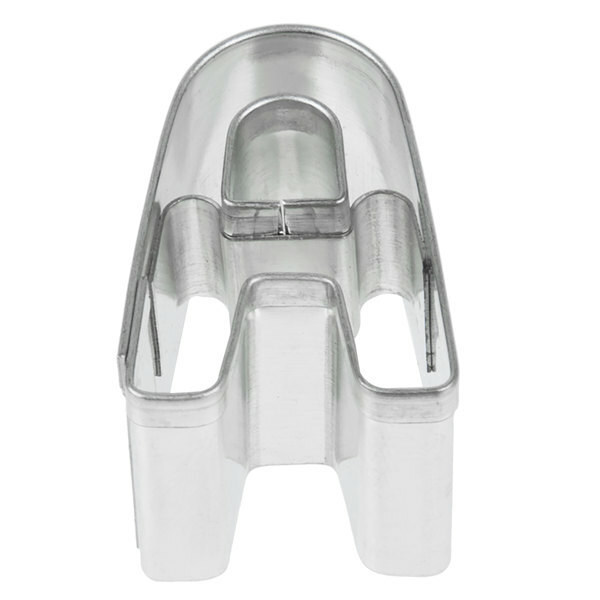 Bringing you innovation and quality for over 100 years, Ateco, an August Thomsen brand, has been internationally known in the industry for creating baking tools of superior craftsmanship and design. By continually improving on tools, materials, and packaging, Ateco is dedicated to providing professional bakers with the kitchen essentials they need to succeed in an ever-evolving industry! My daughter mostly use them for kinda indenting letters on fondant. No signs of tarnishing or rusting. I wash by hands with a clean tooth brush. They fit perfectly right back into the small container. These worked great. The size was perfect for lettering on birthday cakes. The letters came out crisp and the cutters are sharp. Great quality item. So many uses for these cutters works great with cookie dough, fondant,gum paste, pie dough and salt dough. Releases easily and cleans up great, and the tin is perfect for storing the cutters neatly and in one place. This makes fondant lettering so easy, plus have used with a good sugar cookie recipe to make clean letters. Highly recommend this set and the price is better than I have found locally. These work pretty good for cutting out letters from fondant. Some of the letters are trickier to get out then others but you would probably have the problem with any letter cutter. Perfect set. Each letter is true to shape with a strong sharp edge. I was able to cut all pastry nice and clean. I like how they all store nicely together. No need for lost letters. 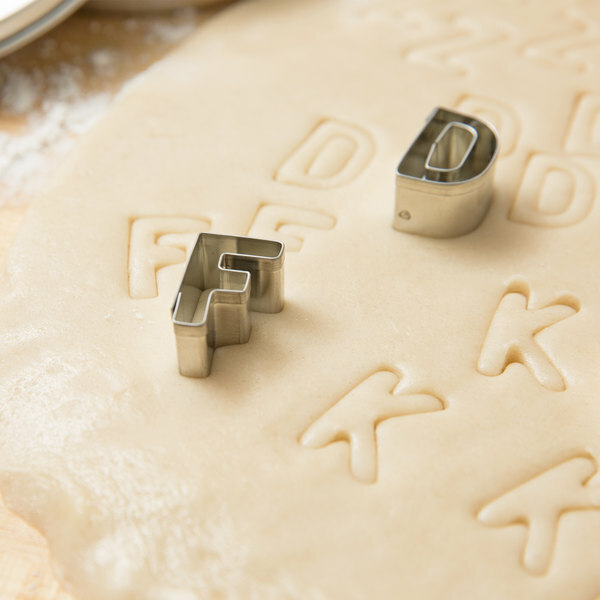 These alphabet cookie cutters are a must with kids in the house. They are always a hit for birthdays and holidays! Affordable and a great brand. letters are a must have for any decorator, professional and home. These are quality ones, as usual with Ateco. The tin is handy to keep them altogether too. These are really nice to have for cutting out fondant letters to go on cakes. I did have some trouble with the letters sticking to the cutters, but found that using the back of a table knife to push the letter out worked pretty well. 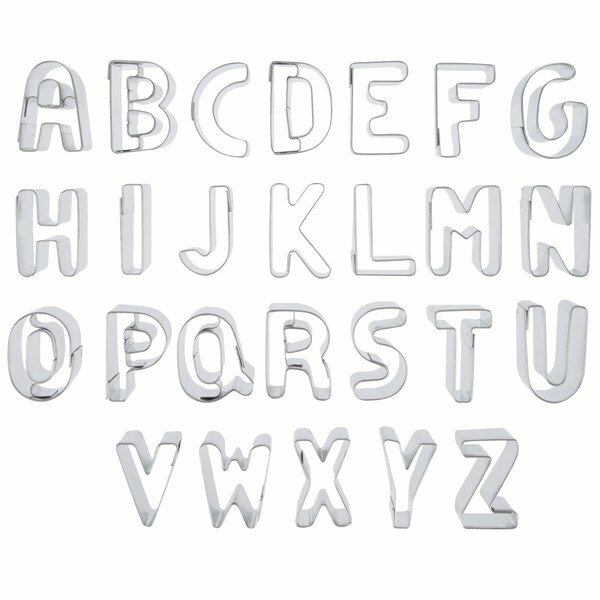 A very durable and clean cutting alphabet set that works wonderfully for my fondant projects! Very good price and excellent delivery time when I needed them very fast! 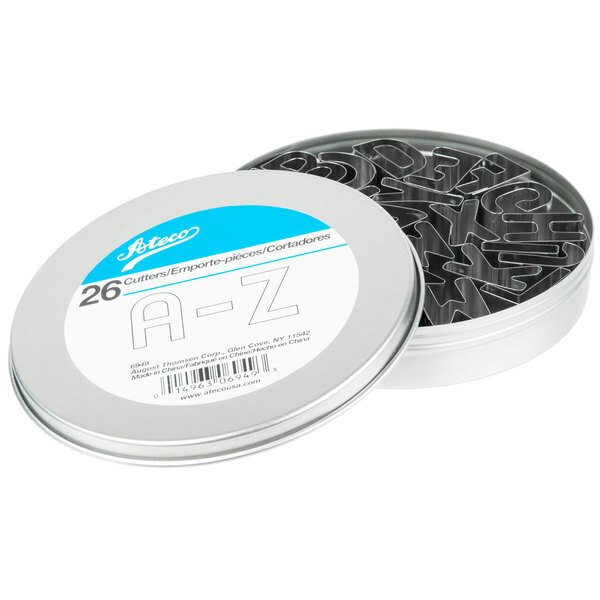 These Ateco 6949 26-Piece 1" Tin Alphabet Cutter Set (August Thomsen) are small they didn't work well with cookies dough. The price is worth it. 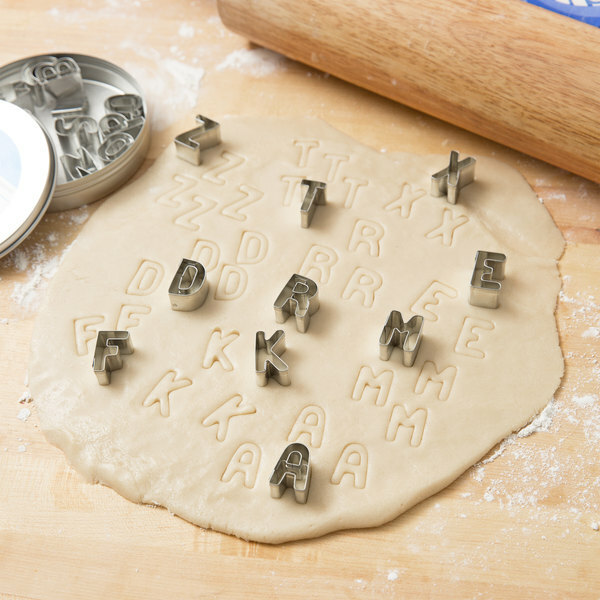 We use these alphabet cutters for many different jobs like on Fondant or to engrave our fruit filled empanadas to let the client know what kind of fruit jam it's filled with. 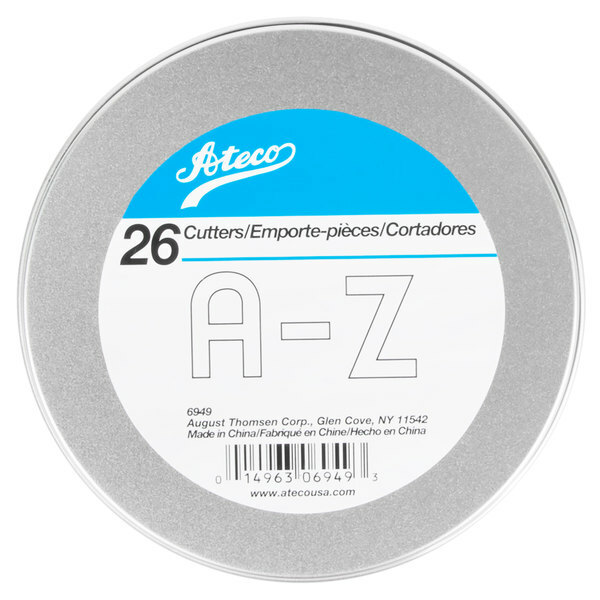 I really love Ateco for ALL of my cutters. 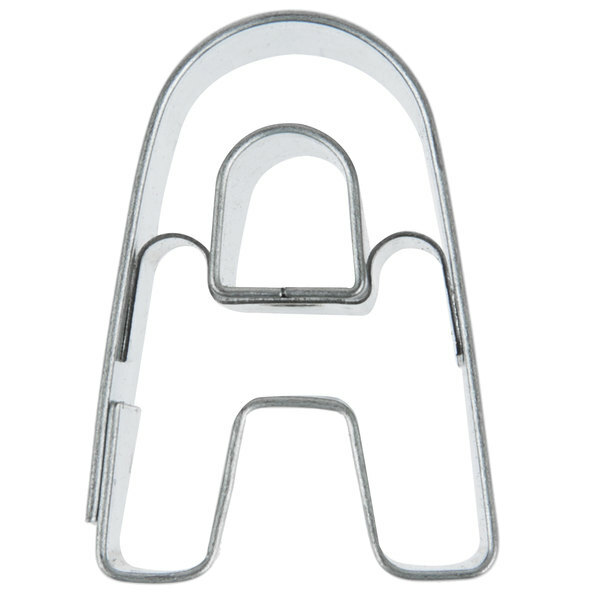 These are awesome quality alphabet cutters! They hold up beautifully and create great little letters for my cakes. Great letter cutters, i really wish they had them in different style letters also. I was surprised at how sturdy they are, can be used for dough. fondant etc. These little cutters work fantastic! I love the size! There are perfect for cutting fondant and gumpaste. The tin to store them in in pretty handy too!